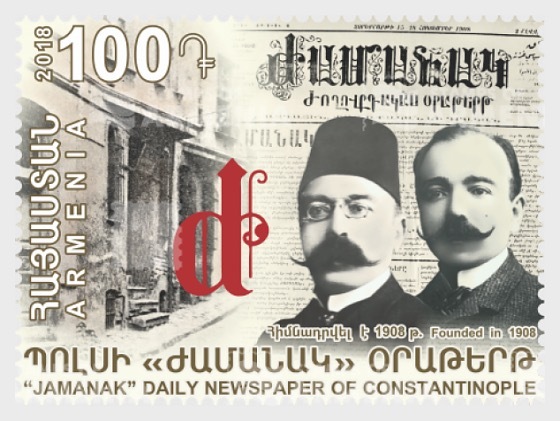 The postage stamp depicts the founders of “Jamanak” daily newspaper, brothers Misak and Sarkis Koçunyan. The postage stamp also depicts the old building of “Jamanak” daily newspaper and its logotype. Jamanak” daily newspaper is being published in Istanbul since October 28, 1908 and is considered as the oldest daily of the Armenian world which has been uninterruptedly published.